Painting Oil on Canvas | 72" x 48"
I love to paint with raw impulsiveness for I find that it is the best means to release my creativity. The wonder of existence, the beauty of nature, it’s timelessness, never ceases to amaze me. I believe that we are all inextricably a part of nature. It reflects in our being. Nature shapes my view of beauty and form. Wherever I am, I listen to the voice of nature and it speaks to me in the language of color, light, tone, shape – I respond emotionally and draw in this spirit, with which I try to compose a beautiful extraction. Milind Nayak wants his paintings to look as close to reality as possible, for he believes that art should mirror reality. Inspired by the vitality and exuberance of nature, he strives to depict nature’s glory as it is, rather than to alter its appearance. A student from MGM College, Udupi, Nayak currently lives in Bangalore, while his work adorns the homes of collectors in India, England, Germany, Poland, Malaysia, USA and many other countries. This self-taught painter works in different media, from oils and watercolors to pastels. He has had over 30 solo shows, including three in the US and one in London. 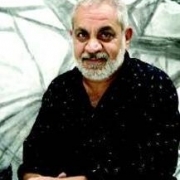 Nayak has also participated in several exhibitions in India, such as the Karnataka Art Mela in Bangalore and Youth Writers and Artist Guild in Bangalore.